But the differences between the two lie in their front cameras and processing powers; while the new phone has a SD (Snapdragon) 425 chipset, the Infinix Hot S3X has a better SD 430 processor. Also, the Hot S3X comes with 16MP front facing camera, while the Hot 6X comes with 8MP front camera. 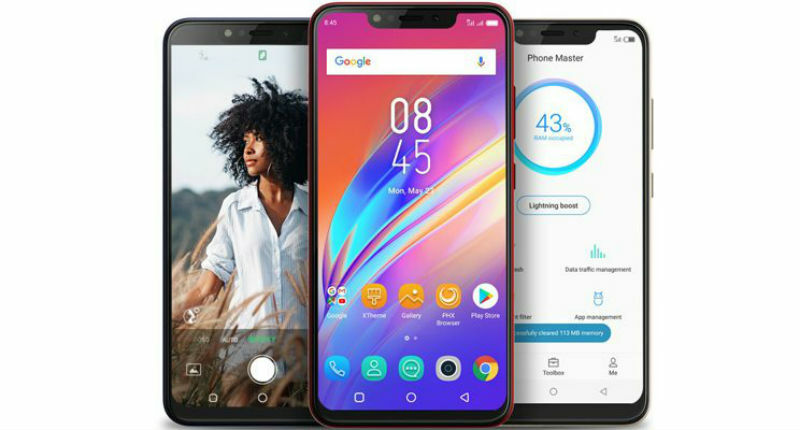 Read more on Infinix Hot S3X, notch and 19:9 aspect ratio. Meanwhile, in this write up, we'll focus on the new Infinix Hot 6X features in relation to the Hot 6 Pro, since the latter is the predecessor of the new phone. 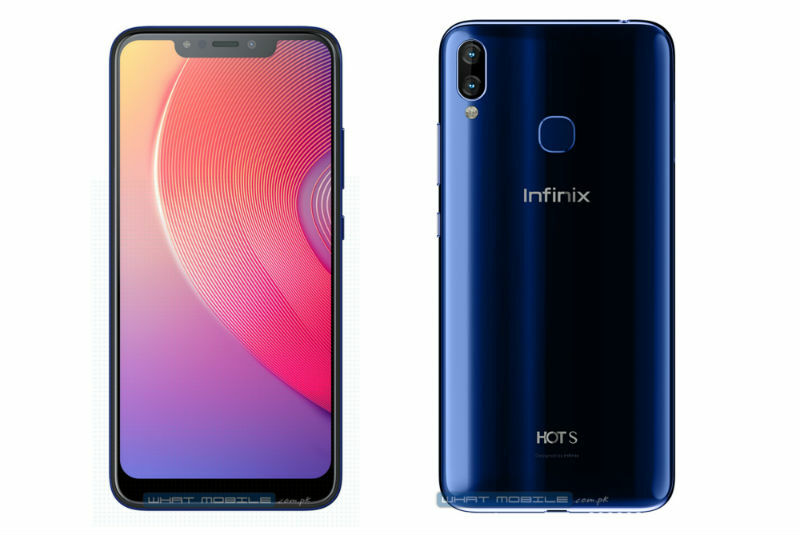 The new Infinix Hot X6 may not share looks (screen size, notch and design) with the Hot 6 Pro, however, both phones have identical internal components save for their front cameras; this is because while the Infinix Hot 6 Pro has 5MP front facing camera, that of the new Hot 6X is 8MP. 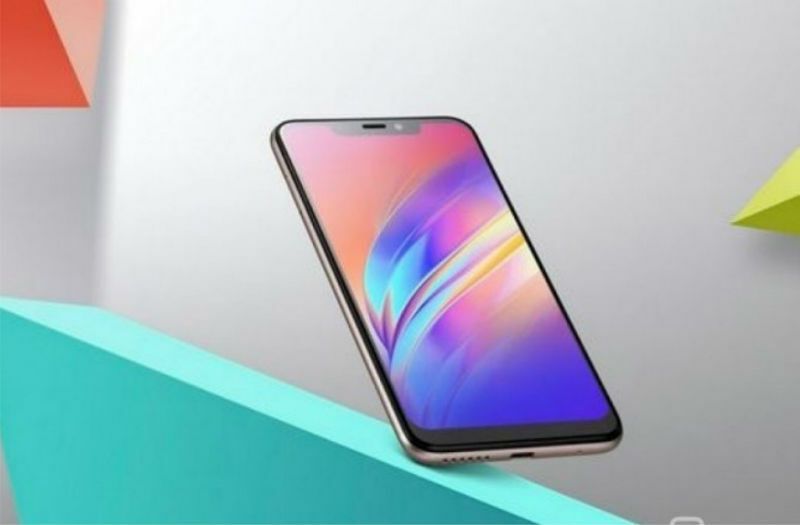 Therefore, since both phones share the same internal components, the selling points of the new phone are those things that distinguished it from the Hot 6 Pro, and these are better front facing camera, better audio sound, bigger display size and distinct design. 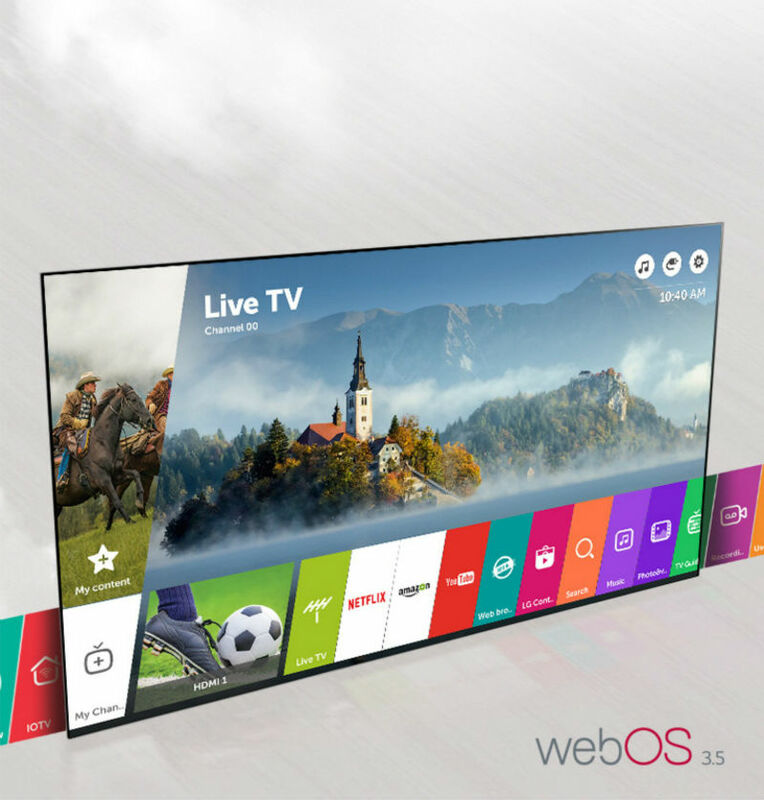 Bigger Display with a distinct design. The new phone comes with a display size that is 0.2-inch bigger than that of the Infinix Hot 6 Pro, i.e. more than the 6.0-inch of the Hot 6 Pro, the Hot 6X present the buyer with a bigger 6.2-inch display. Apart from the increased size, the 19:9 aspect ratio is another feature that distinguished the new phone's display from that of the Hot 6 Pro, because the 6 Pro features 18:9 aspect ratio. In order to prevent the new bigger phone from appearing chunky, there is a need to adopt 19:9 aspect ratio, because the aspect ratio enables the phone to become slimmer, thereby making it to be held comfortably with one hand. Furthermore, the Infinix Hot 6X comes with a small cut out at the top of the screen, which is otherwise known as notch. The notch, along with the 19:9 aspect ratio and the bigger display enables the users to enjoy more screen real estate from the their new Hot X6. 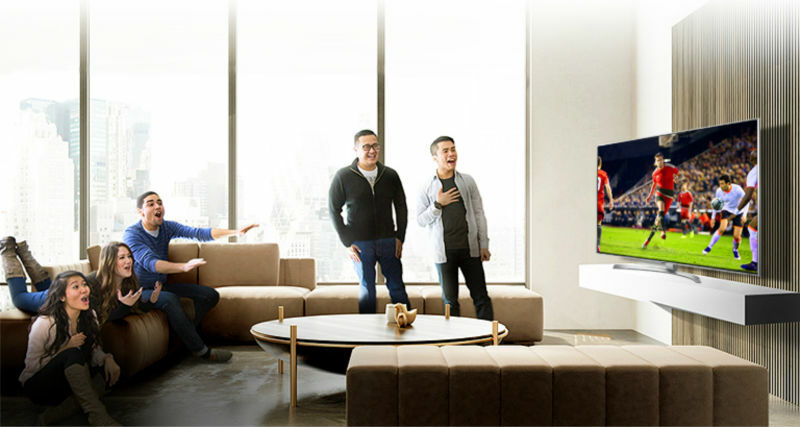 Different from 1440 by 720 screen resolution of the Hot 6 Pro, the newly adopted 1500 by 720 pixels, of the X6, is not as a result of the increase in screen size of the new phone, but it's as a result of its display's 19:9 aspect ratio. So, the 1500x720 resolution of the new phone shouldn't be mistaken for Full HD (1080p), it's just another variant or form of HD+. And to confirm the above statement; despite the new Hot 6X increased screen size and distinct aspect ratio, the Infinix Hot 6X and Hot 6 Pro displays have the same 268 ppi (pixel density), in other words, both phones maintain equal screen sharpness. Although, there are reports that the new Hot 6X offers better contrast and brightness than the Hot 6 Pro. Still, it's unfortunate to find the same HD+ resolution on the 6.2-inch display of the new Infinix Hot 6X, because to enjoy sharp and clear images on a phone's screen that's as big as that of the Duo (Hot 6 Pro and Hot 6X), the optimum resolution is supposed to be Full HD+ (1080p). Same processing power and performance. Like mentioned earlier, the same internal components of the Hot 6 Pro are also present in the new Hot 6X. This is because the new phone features the same old Qualcomm Snapdragon's 425 chipset with 1.3 GHz processing speed, it also comes with the same 2GB/3GB of RAM and the internal storage capacity of 16GB/32GB, and the new phone also supports MicroSD card of up to 128GB. And concerning the new phone's Operating System (O.S), the Infinix Hot 6X is also preloaded with Android 8.1 (Oreo). 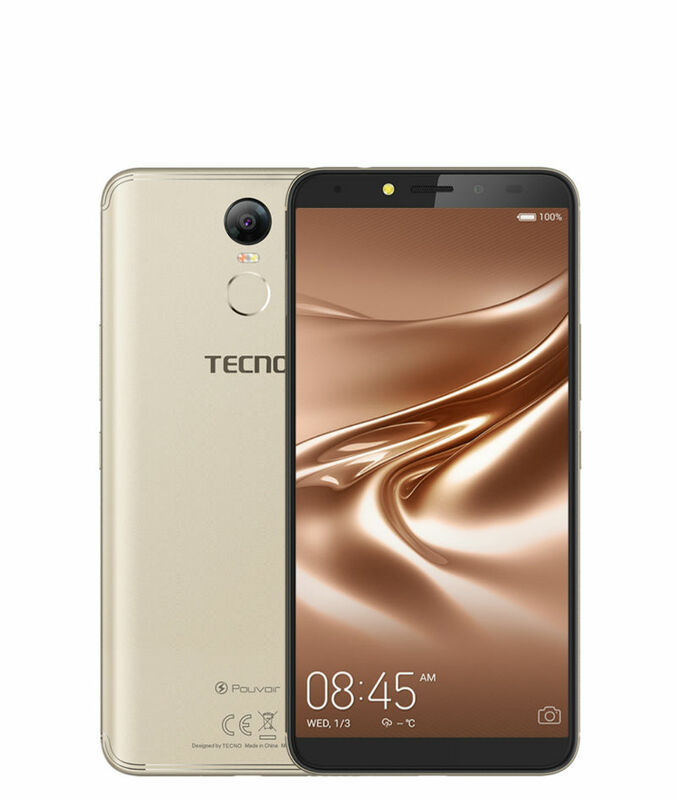 For Wide-Angle and Telephoto pictures, the new phone features the same dual-lens back camera just like in Hot 6 Pro, and the dual lens also comprises of 13MP primary or main camera and 2MP telephoto or seconday camera. 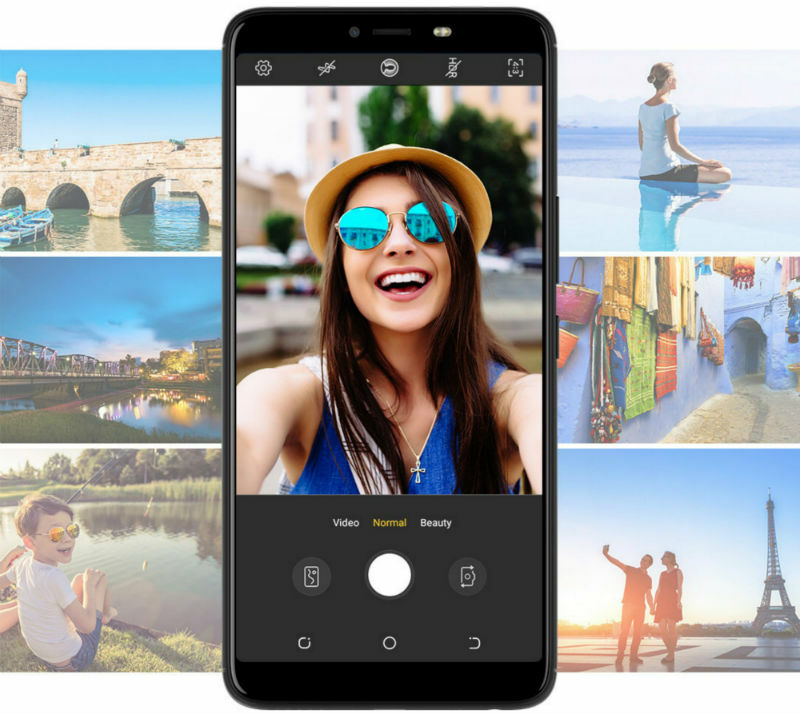 However, unlike the Hot 6 Pro that comes with 5MP front facing camera, the Hot 6X offers better 8MP Low-light Selfie camera, therefore, you should expect sharper and more detailed image from the shots taken with the new phone's front facing camera. And like in Hot 6 Pro, the Hot 6X also features Intelligent face unlock, for the phone's security enhancement. In addition to that, there is also standard Fingerprint reader, located at the back of the phone. 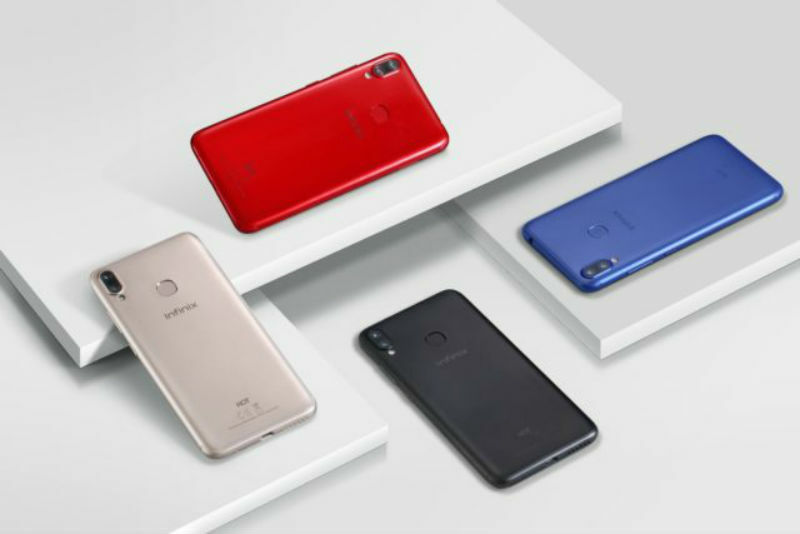 The Infinix Hot 6X comes with the usual 4000mAh battery capacity, usual in the sense that the same 4000mAh was found on Infinix Hot 5 and Hot 6 Pro, and this means, despite the increasing screen sizes of the company's Hot Series, their battery cells remain unchanged. 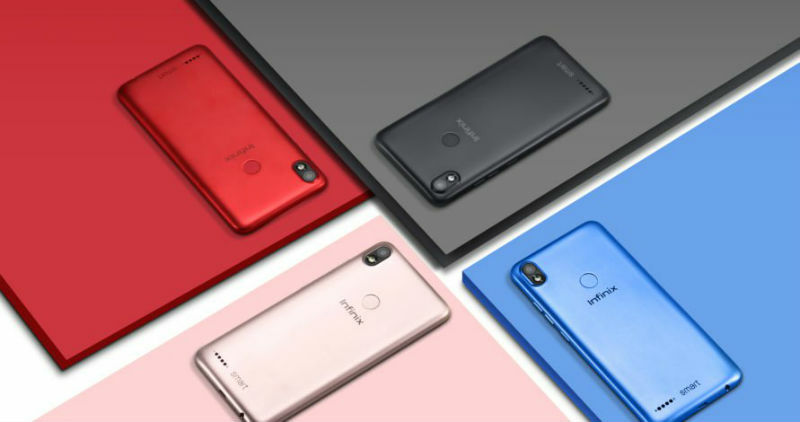 Verdict: In summary, although Infinix Hot 6X offers better camera than the Hot 6 Pro, But the phone imports all the components of the Infinix Hot 6 Pro into the body (design and screen) of the recently introduced Infinix Hot S3X. And apart from the improved front camera, it's also reported that the new phone comes with better audio sound. Blue, Black, Gold and Red. GSM (2G) and WCDMA (3G) only. Bluetooth, Wi-Fi, GPS and Hotspots. 13MP+2MP (AF) With Ring Flash. 8MP (FF) With Dual Flash. Fingerprint Reader (Rear), Face Unlock.